According to reports, Manchester City and Arsenal are interested in signing Idrissa Gueye from Everton. The Senegalese international joined Everton from Aston Villa in 2015 and is an integral part of the Toffee's first team since then. He played 94 games in all competitions for the Merseysiders thus far, scoring four goals. However, he was linked with a move away from the club during the last few weeks with Paris St. Germain being the favorites to land. There are also reports suggesting that he handed his transfer request to the Everton board. According to the reports by Sky Sports, Arsenal and Manchester City are also interested in signing Everton's Idrissa Gueye. They will compete with the French giants, PSG for the signature of the Senegalese international. Sky Sports also reported that the 29-year old wrote to the Everton board earlier this week, requesting them to leave the club before the transfer deadline day. However, Everton denied that they received an official transfer request from the Senegal international. The Toffees insist that Gueye is not for sale and they are expected to reject the offer. Gueye missed Everton's 1-0 win at Huddersfield on Tuesday with a minor injury and the manager, Marco Silva said that there aren't any fresh bids for the player following the match. Everton recently refuses to sell Gueye and it is very unlikely that they will change their mind. Moreover, Arsenal are only looking to sign players on loan basis during this window and Manchester City already have a number of midfielders in the squad. Also, the Cityzens are least likely to replace Fernandinho with the player who is approaching his thirties. 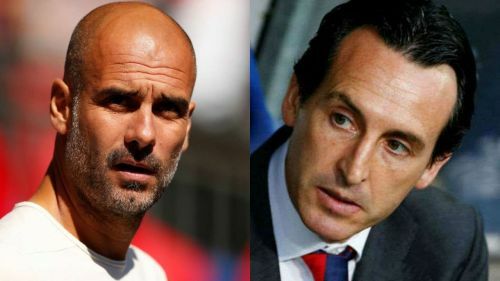 Manchester City and Arsenal will go head to head against each other during the weekend, whereas, Everton will play against the Wolves in the league next.